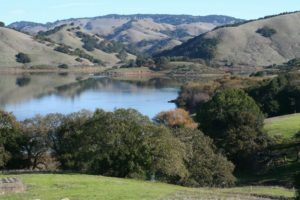 Novato is close to the Northern California coastline and features wonderful, scenic, wide-open spaces. Add a little recreational fishing to the mix and you have all the ingredients for a great weekend getaway. Whether you’re into lake fishing or angling for an offshore catch, be sure to sample some of Novato’s famous brewpub grub while you’re in town. Brian Reed is an illustrator who loves the countryside around Novato. 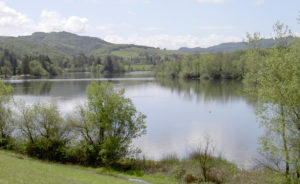 The park at Stafford Lake offers 139 acres of scenic recreation, including the Terwilliger nature trail, choice picnic spots and shore fishing. Cast for catfish, bluegill and bass at the lake. The park is known as one of the most peaceful spots to enjoy nature in Marin, and is well worth a visit whether the fish are biting or not. Stafford Lake is beautiful at sunrise and sunset and there’s a challenging disc golf course to test your skill. Check out Cal Fishing for a taste of the landscape. If you’re serious about fishing in the North Bay, a visit to Spring Lake in nearby Santa Rosa makes for a great day trip. The 320 acre park offers opportunities for hiking, kayaking, swimming and other recreation. Largemouth bass, sunfish and catfish can be caught year-round. As reported online, the Lake has offered up some major bass fishing hauls. For more background and a snapshot of the area, check out Spring Lake on the Cal Fishing website. Whether you’re interested in sport fishing or just want to take an eco-tour of the Northern California coastline, check out Captain Jack’s Sports Fishing and Diving. Jack’s full-service fishing guide offerings include equipment, tackle, fish cleaning and his piloting services on his 17” Boston Whaler. Enjoy a personalized excursion, bring a friend or two, visit Jack’s “secret spots” and enjoy the world-famous waters off the coast. After a day spent fishing, few things go down better than a cold beer in a local pub. As it happens, Novato has a great selection of traditional pubs where you can enjoy a locally-brewed craft ale, and savor the laid-back vibes of a North Bay getaway. 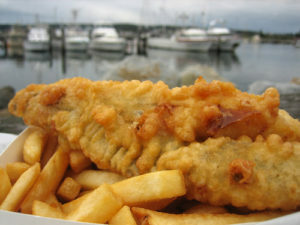 Feel like fish and chips? Order them up at Finnegans, on Grant Avenue, and soak up the Irish bar ambience. You’ll find more fish and chips, alongside calamari, on the menu at Moylans, where locally-brewed celtic ales are much praised. And for live entertainment, the HopMonk Tavern combines a great music venue with their own impressive Tavern menu.